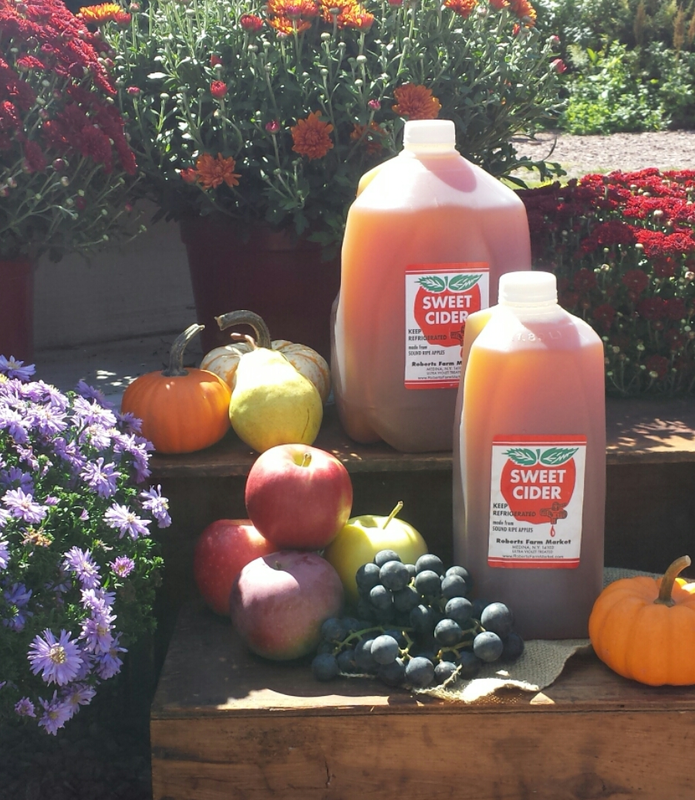 Make memories with family and friends in our pick your own apple orchard! 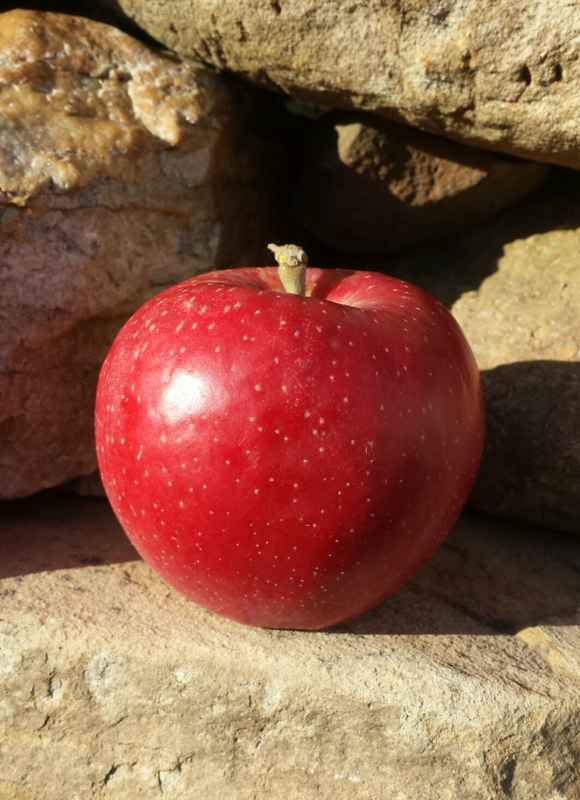 Enjoy a beautiful fall afternoon picking apples, surrounded by the aroma of Fall. 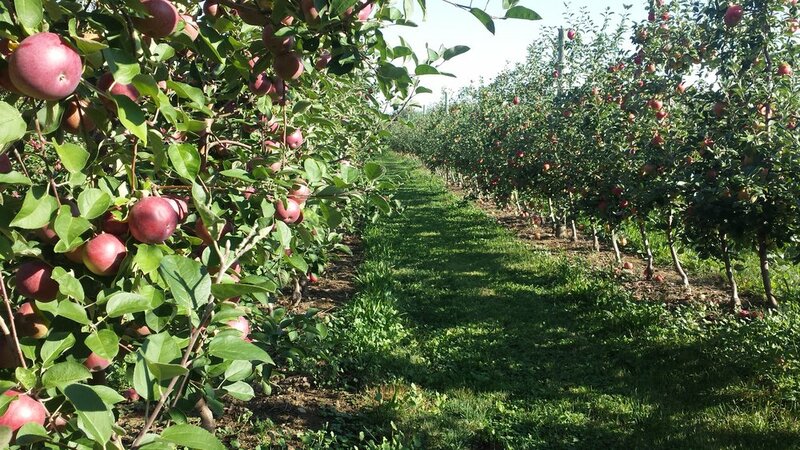 Our orchard opens for the season september 29th. 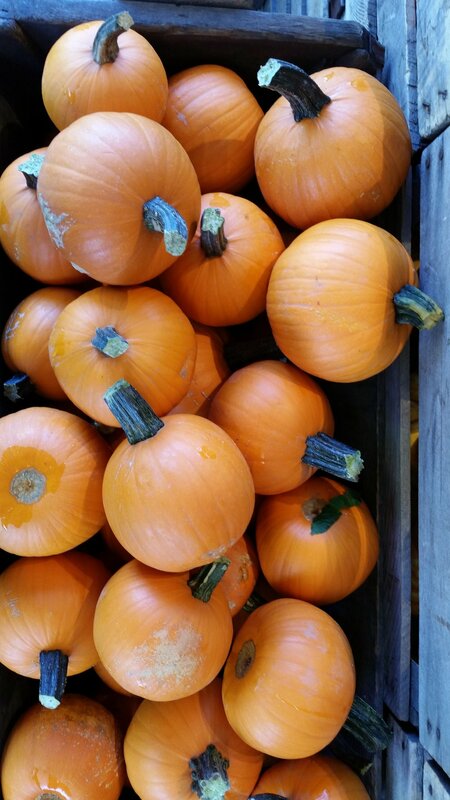 Apples are available to pick any time the market is open! 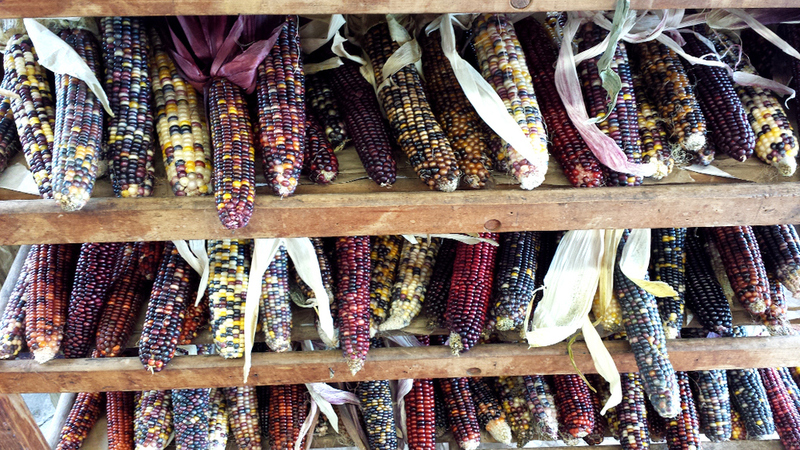 Every Saturday and Sunday in October, our wagon will take you to the orchard. 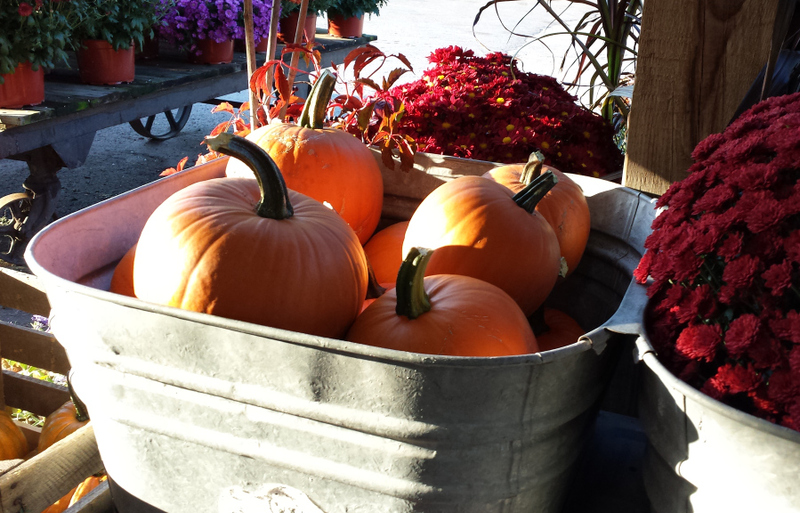 Tractor-drawn wagon rides leave the market every half hour, 12 - 5pm. More Fun on the Farm! 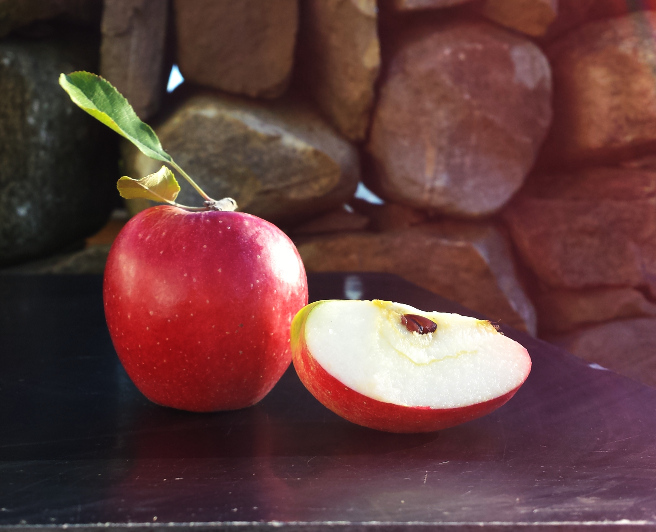 Homegrown apples from our orchard are pressed into an amazingly flavorful cider. Buy it hot, cold, or frozen! Kirby's cider slushies are 100% apple cider, and so delicious. Cider + cider donuts = the perfect Fall snack, but a molasses cookie with hot apple cider is definitely a close second. Find your favorite combination at Kirby's! Cookies and pastries are baked at Greg'ry's Bakery in Bergen, NY. 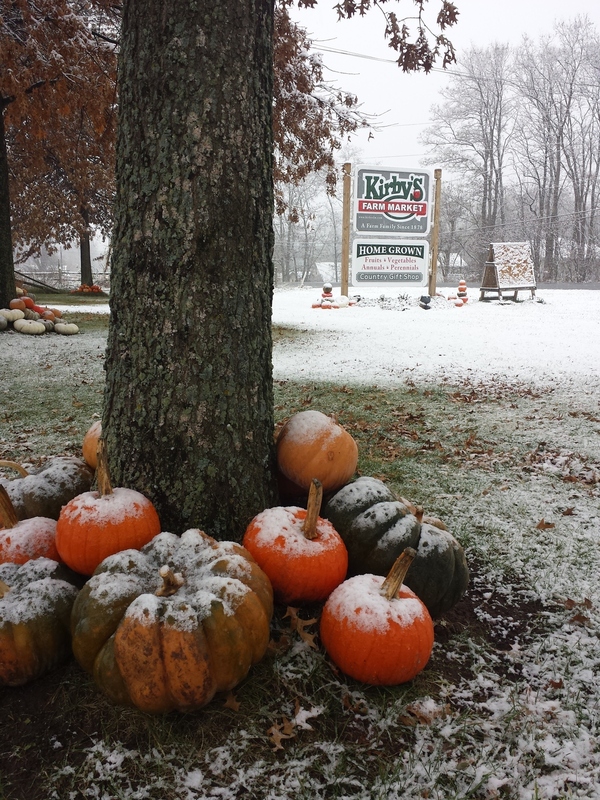 Cider Donuts are made daily at our neighbors, Partyka's. 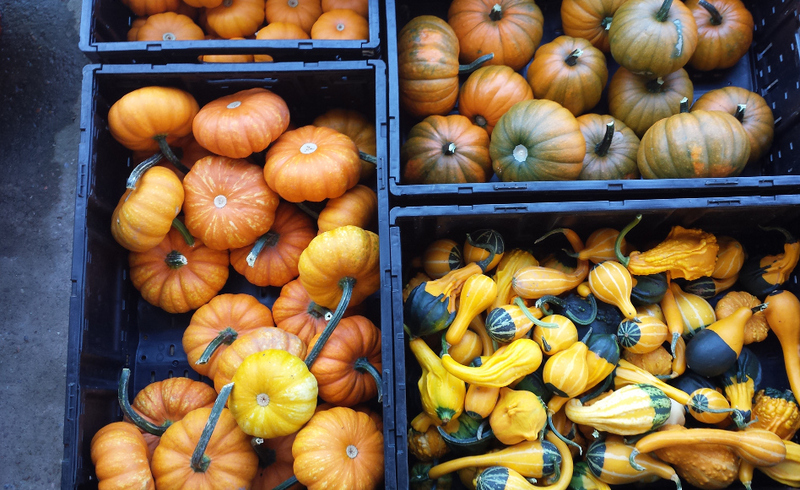 Stock up on pumpkins, gourds, Indian corn, and squash! 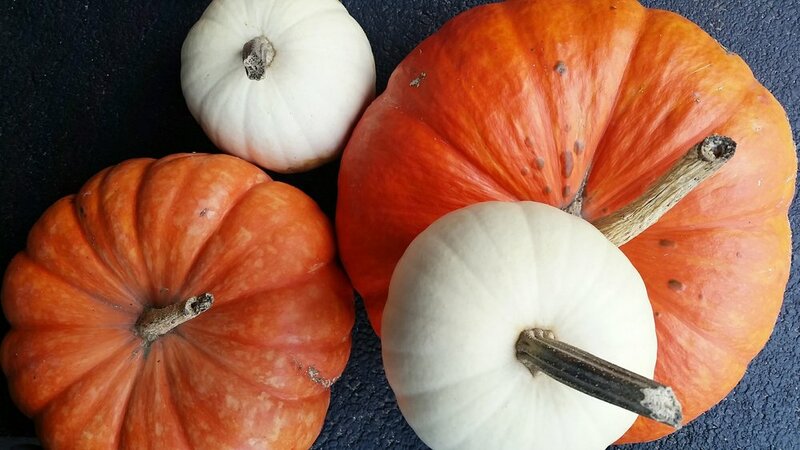 Pumpkins of every shape, size, and color can be found under our porch in October. 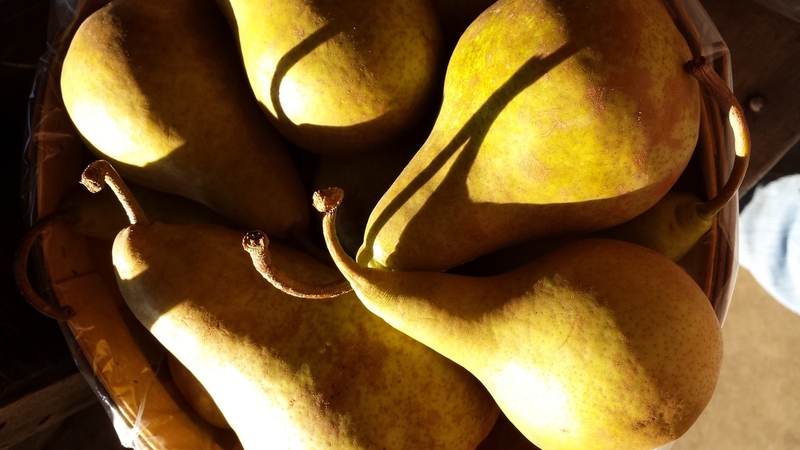 We also have an abundance of homegrown vegetables, already picked apples (if you don't feel like venturing out to the orchard), and locally grown produce from nearby farms. 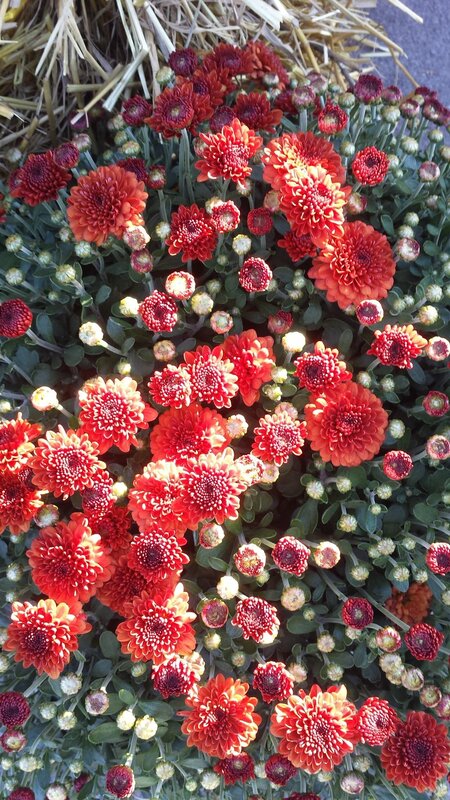 Finish your Fall display with straw bales, mums, and cornstalks.